When OVERDRIVE spoke to Mercedes boss Dieter Zetsche at the launch of the new A-Class, he explained that this was the start of something big  a completely new range of small cars (by Mercedes standards) which would have five distinct models. The A-Class hatch already had the companion B-Class and the next would be the CLA saloon but, said Zetsche, "In many markets the GLA SUV is the most eagerly awaited." That was two years ago. The GLA was expected earlier but Mercedes has been handling the high demand for the CLA, especially in America. The SUV  the fourth car on the Mercedes MFA compact car platform - was previewed at the Detroit Auto Show in January and has just gone on sale in Europe. We drove two versions in the UK, on roads of southern England and the off-road course at Mercedes-Benz World, the elaborate showplace and testing ground on the site of the old Brooklands race track near London. 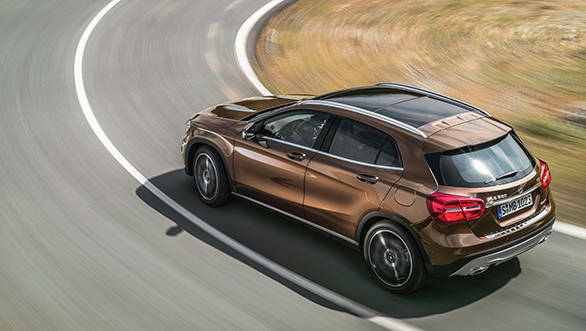 At first glance, the GLA doesn't seem very different from the A-Class hatchback and it seems fair to label it a crossover rather than a genuine sports-utility vehicle. In Europe that is an increasingly popular category, characterized by rugged styling cues and higher seating. Many crossovers are predominantly front-wheel drive and make no claims of cross-country ability. 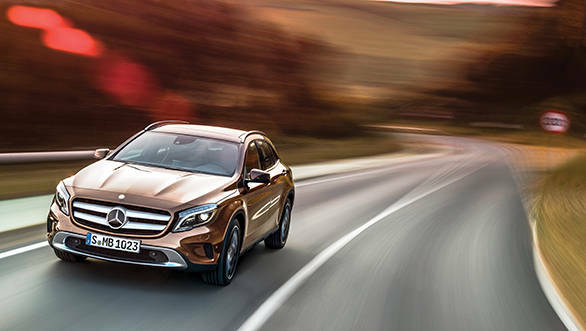 All but one version of the GLA has four-wheel drive  the best-selling version in India is likely to be the GLA 220 CDI 4Matic  and so, despite its lower roofline and familiar hatchback silhouette, the Mercedes can take its place alongside the compact SUV Audi Q3 and BMW X1. The GLA creates a rather clever illusion: it is six cm taller than the A-Class but 12cm longer, so the outline is similar and yet it allows a four cm higher seating position and greater ground clearance. On the road, it feels more like a regular hatchback than an SUV and Mercedes engineers report that the longer suspension movement that comes with the higher stance allows them to use softer springs, improving on the stiff ride of the A-Class. Unfortunately, that driving benefit is often negated by marketing. The popular AMG Line package brings body-styling features and sports suspension, which lowers the car by 15mm, and is usually accompanied by big wheels with ultra-low profile tyres  which do nothing for the ride quality. So, a front-wheel drive GLA 200 CDI AMG Line exhibits similar road behaviour to the regular A-Class. 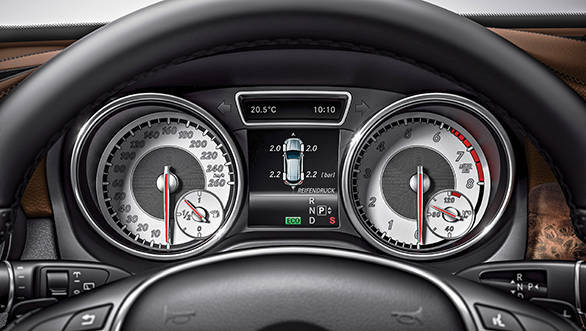 The interior layout is familiar, though improved by the AMG pack's aluminium dashboard and the black 'artificial leather' facia top with red contrast stitching. 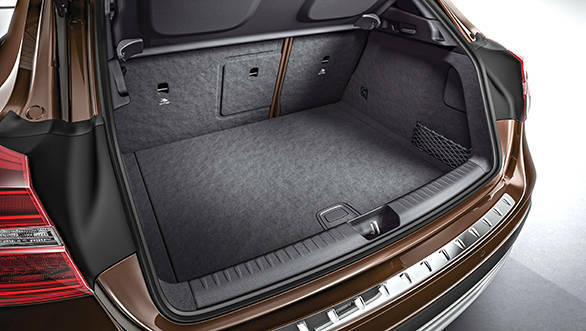 The higher roof makes it feel more spacious and the optional full-length glass roof (with opening sunroof at the front) relieves the black interior trim but actually the rear compartment is a bit tight for a car of this size. 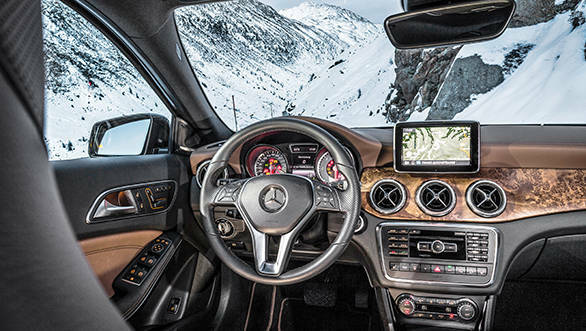 The AMG pack doesn't include any engine or transmission modifications  you have to go to the 360PS GLA 45 AMG for that  so the 200 CDI has the standard 2.1-litre four-cylinder diesel producing 136PS and a six-speed manual gearbox. For the 220 CDI, power from the same basic engine increases to 170PS and the seven-speed dual clutch automatic and four-wheel drive are standard fit. Its extra punch is welcome on the road but this is not the most refined of diesels and isn't helped by the sometimes erratic response of the transmission in automatic mode. The gearbox offers the choice of 'eco', 'sport' or manual  you really need to use the sport setting to get the best from the car. Maximum acceleration from 0-100 kmph in 8.3s and a 215 kmph top speed are competitive with its Audi and BMW rivals and its average fuel efficiency of 20.4kmpl is among the highest in the class. The four-wheel drive uses a Haldex clutch pack to deliver torque from front to rear as required and gives the GLA a secure feel on wet and slippery roads. Four-wheel drive GLAs have an 'off-road' button to alter the characteristics of the traction control and anti-lock braking systems and another to engage the low speed hill-descent control. These contribute to the GLA's surprising breadth of off-road ability, as we discovered on the Mercedes-Benz World track. 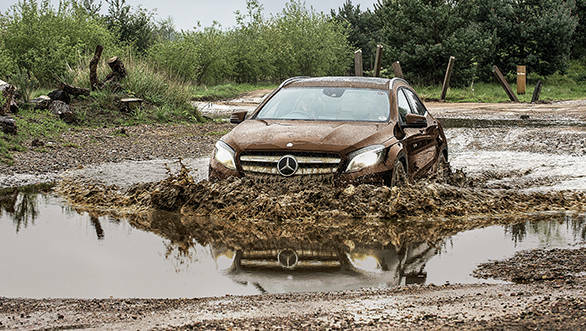 This isn't the toughest off-road challenge but it does represent the worst conditions that 99 per cent of GLA owners will need to negotiate. Mud and ruts, streams, gullies, short steep inclines: it took all of them in its stride. For the one per cent that want to go into the jungle, there is an optional 'off-road' pack which increases the ride height by another 15mm and specifies more rugged wheels and tyres, but those people would be better off with a more authentic SUV. 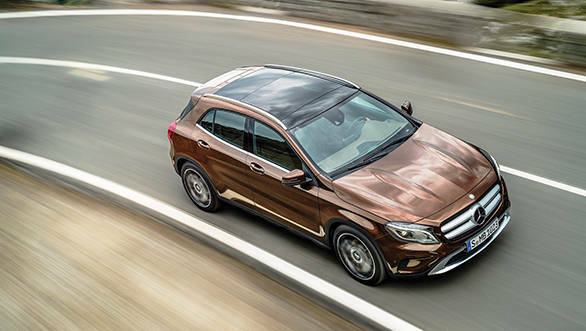 In standard specification, with four-wheel drive, the GLA makes a good account of itself. With wise trim and wheel choice, it is actually better to drive and ride in than the A-Class on which it is based. And in the way of the German premium car makers, it fills yet another niche in the market, forming the smallest of Mercedes' 4X4s, leading to the GLK, ML and GL series and the evergreen G-Class Gelandewagen.